We were lucky enough to receive a email from Pet Shop Bowl asking us if we would like to review one of their brand new products. Of course we jumped at chance. 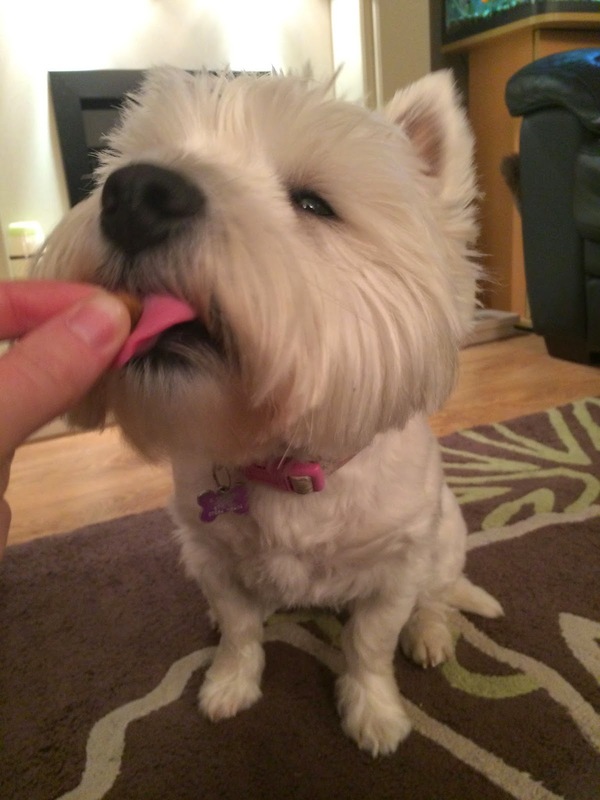 Lottie loves trying new treats and toys. So who are Pet Shop Bowl? Here's what they have to say about the company. PetShopBowl is a nationwide home delivery subscription service to pet food. We are a young company with a team of friendly, helpful staff dedicated to saving you time and money. All of our staff are pet owners so we understand the needs of other pet parents. What many other pet business don't offer is there unique Bottomless Bowl concept which is offered at the checkout. We all have a busy lifestyle, its unfortunately just the way of the world these days. 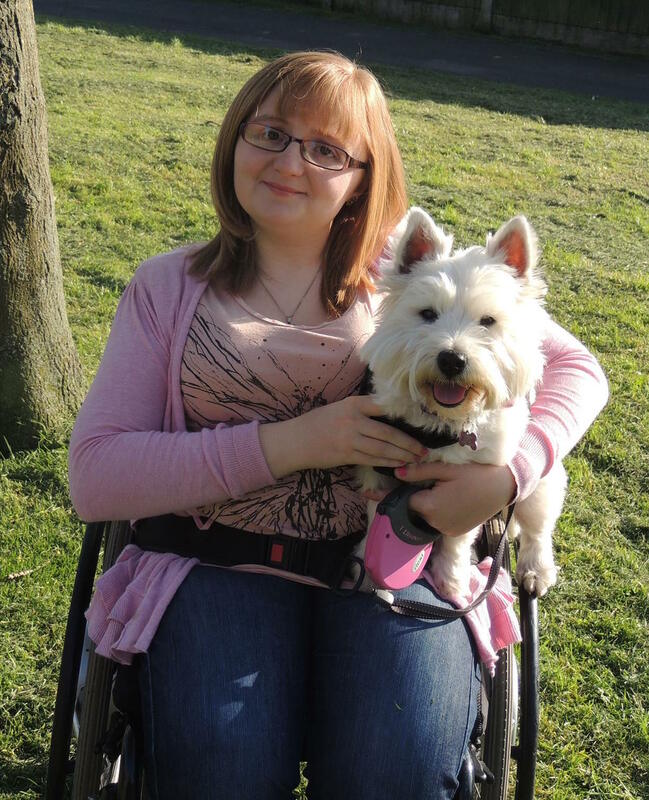 If like me you are trying to juggle full time study, a work placement and taking care of your dog, you will know what a challenge that can be! This is where Bottomless Bowl comes in. Bottomless Bowl is a simple reordering service. They understand all dogs have a different appetite so offer any frequency from 2 - 12 weeks. But I hear you ask, what if there is a price increase ,well there's no hidden price rises. If the price of a product that you have subscribed to happens to increase, they will contact you to make sure that you still want to continue with your subscription, it really is that simple! They offer free UK delivery on all orders over the value of £19.99, as well as using a courier service which means you can change delivery time or day to whenever suits you best. So what did they send us? 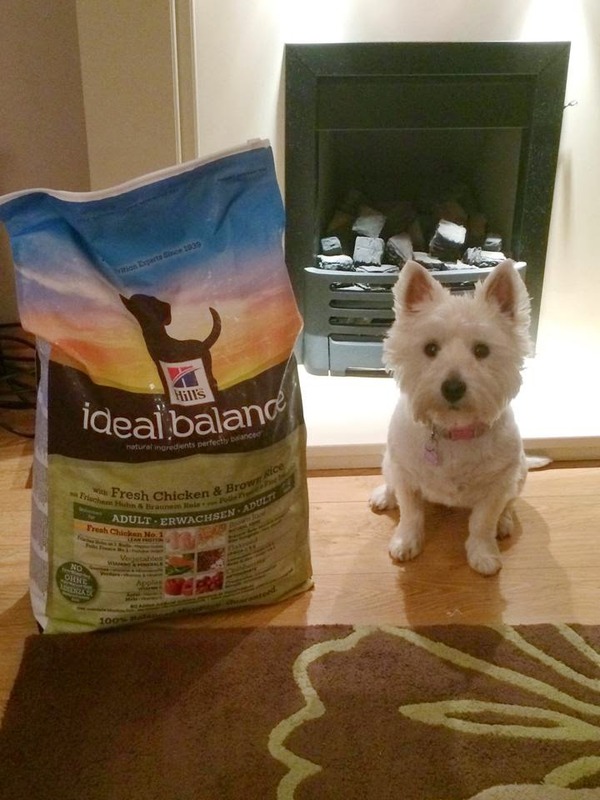 They sent us chicken and brown rice dry dog food from their brand new product range called Hill Ideal Balance. The range includes dry dog food, dog treats, wet dog food and dry cat food. 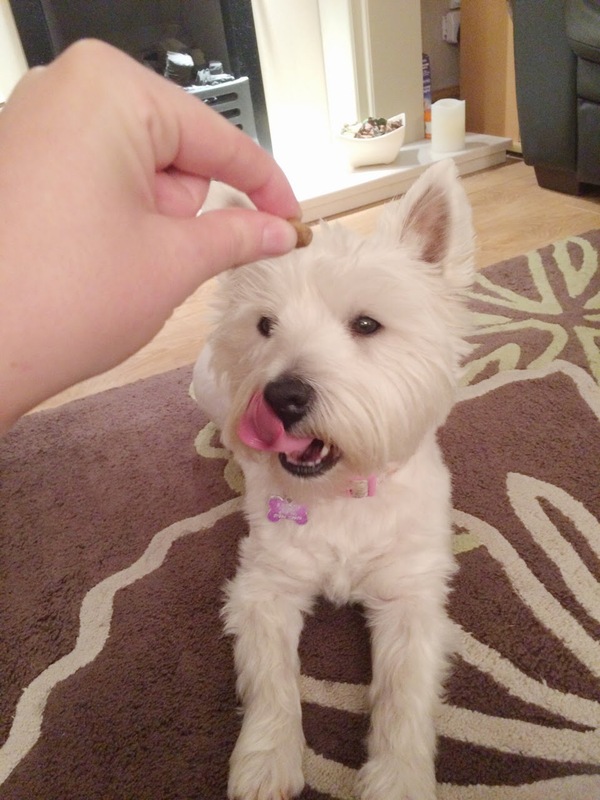 Now Lottie is your typical Westie when it comes to food and can be very fussy. I on the other hand, am very aware of what I feed her. Westie's can suffer with skin allergies and certain food can irritate it more. Seen as Lottie suffers mildly I definitely am extra careful. So I was delighted to hear that Hill Ideal Balance has perfectly balanced nutrition and is made with the finest natural ingredients. They use chicken as their number one ingredient, meaning that there is no nasty added artificial colours, flavours or preservatives. All their product ranges have no wheat, maize or soy. So is great for dogs who have allergies to those. Lottie absolutely loved it. Her current food is lamb and rice so I was originally a little concerned if she would like it. (The flavour they sent us was chicken and brown rice). But I needed not to of worried. As soon as I opened the cardboard box she couldn't wait to have a try. The bag has a handy seal which means that if like Lottie your dog is not a big eater there wont be any waste. It also comes in very handy if like us you haven't got a big enough container which will hold 12kg! 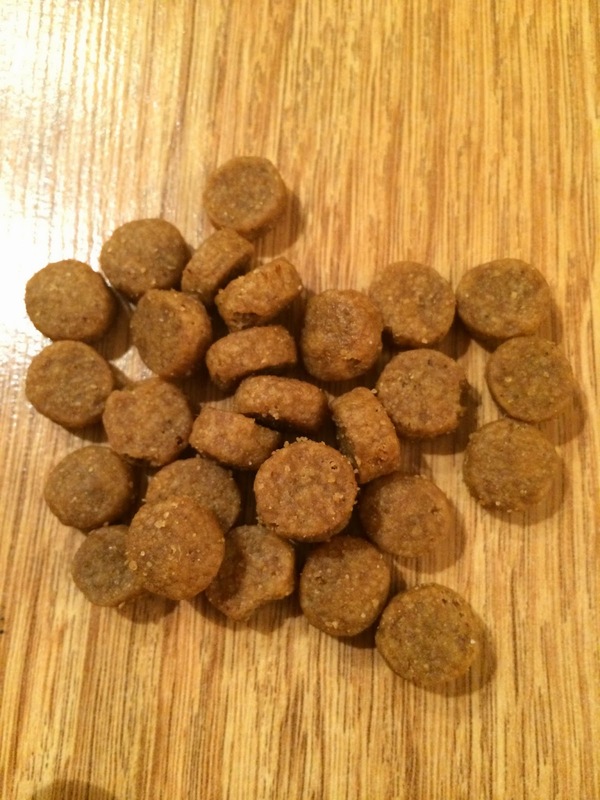 The food itself it small hard piece and would easily suit any small or medium sized breeds. Although they really do cater for all sizes as they stock a small and large breed variety of the dry dog food. They also have a range for dogs over the age of 7 and of course not forgetting those puppies too! We would highly recommend Hills Ideal Balance to any of our animal friends. It has all the qualities we look for in a good quality food. 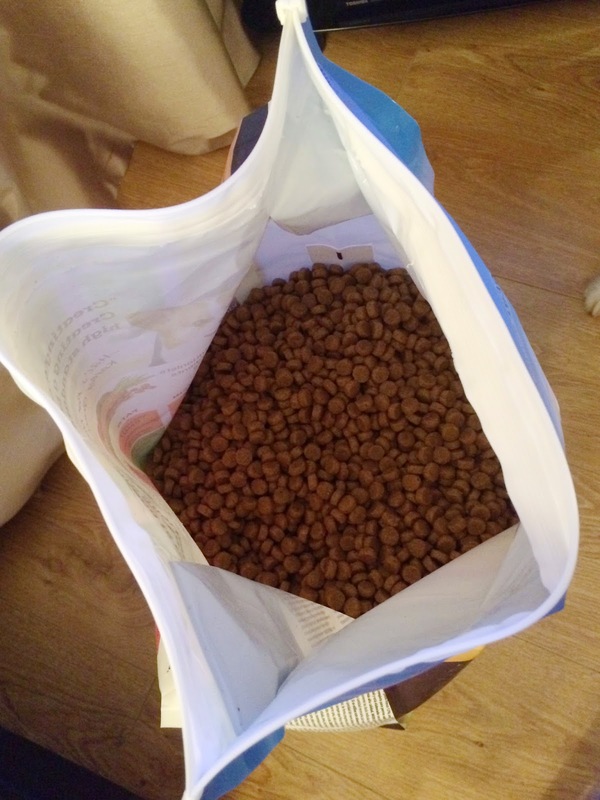 Lottie's gives it a massive 5 out of 5 in her woof rating, and with their bottomless bowl feature it will mean you never have to run out of dog food every again!. We received a box of goodies from Pet Shop Bowl at no charge in exchange for our honest and fair review of their products. All opinions expressed here are our own and truthful! Very cool! Looks like you enjoyed it! Good quality food is important! Monday's Mischief | What a spooktacular night.